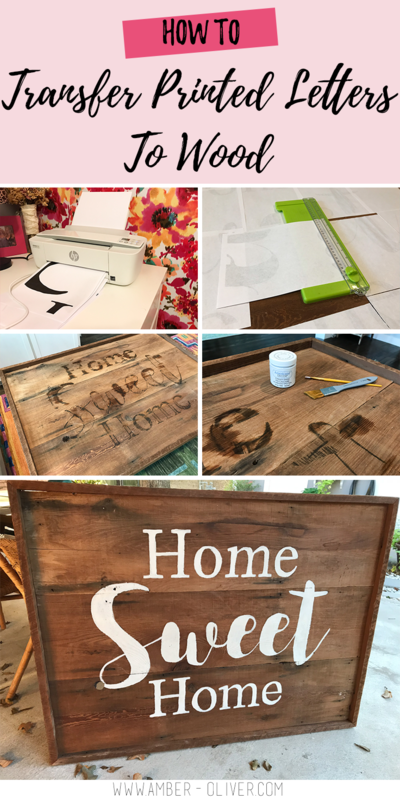 How To Transfer Printed Letters to Wood - Make a HUGE Wooden Sign! 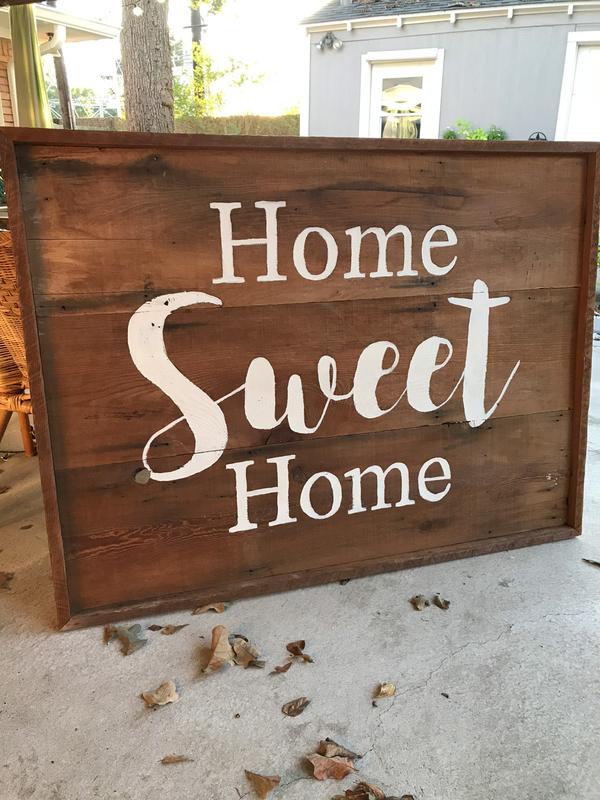 How To Transfer Printed Letters to Wood – Make a HUGE Wooden Sign! Have you ever had someone ask for a favor as soon as they find out you’re good at something? “Oh you’re a doctor? Can you take a look at…” I know I’ve been guilty of this! I love when I’m asked to help with a DIY or craft project. I run out of projects and ideas for my own home, so when someone wants help I’m always quick to volunteer. 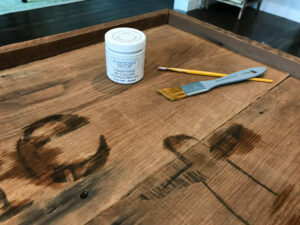 I was recently contacted to paint a large wooden sign for a TV SHOW! They were doing a renovation on a home in the Houston area and needed a a sign painted with a quick turn around time. 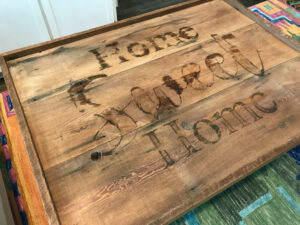 I thought about using my Cricut to create a large stencil (or even cut the letters out), but ultimately I used a different method to transfer printed letters to wood and it worked BEAUTIFULLY! Step 1: Come up with your design in Photoshop or Microsoft Word. Photoshop is best, but this can totally work with Microsoft Word! After you’ve laid out your design, FLIP it, and print it TILED to PDF. I used these instructions from Adobe. 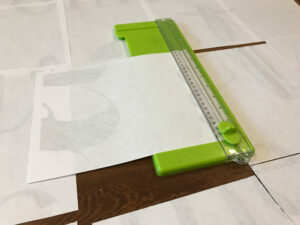 Step 2: Most printers won’t go all the way to the edge so use a paper slicer to trim off the excess quickly and easily. You could free hand this with scissors but you really want that perfectly straight edge. Step 3: Lay all your pieces of paper down and tape together as well as tape in place. Step 4: Working on one section at a time, dip a paper towel in water and dampen the paper. Use a fat, rounded marker lid to gently rub over the design. The pressure and dampness will transfer the printed letters onto the wood! Step 5: Paint your design! 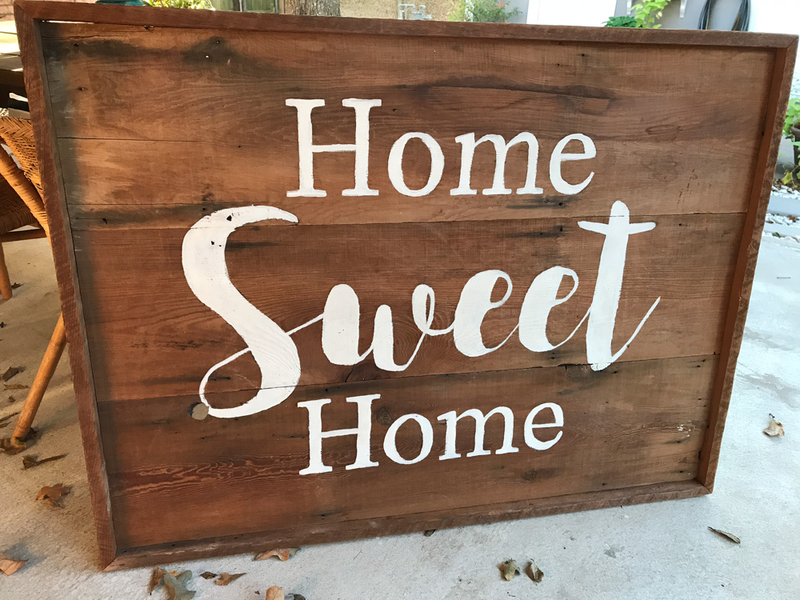 This works much easier than free handing the design and you can use some beautiful fonts to create your own custom signs quickly and easily! 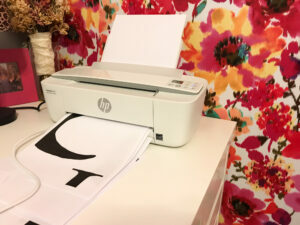 If you’re more of a visual person, check out the video tutorial below to see how to transfer printed letters to wood. Check out more home decor project ideas here!